For special occasions like weddings, events, parties and more we have VIP Restroom Trailers for rent. 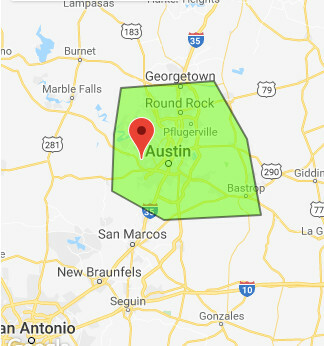 Austin Porta Potty rentals also rents several restroom trailers for special events. These units are a big step up from porta potties and come with running water, sinks, and the luxuries of a home restroom. 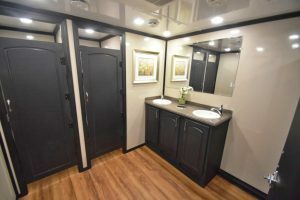 Our restroom trailers have separate men’s and women’s restrooms and all come with flushing toilets, air conditioning/heating, sinks, and lighting on the interior and exterior. All of our restroom trailers will make your guests as if you have walked into an upscale home bathroom. We have 2-station, 3-station, 7-station, and 10-station restroom trailers. From upscale weddings, to VIP events, our VIP restroom trailer rentals, located in Austin, TX are ideal for any upscale occasion.